Holly is native to western and southern Europe, and is perhaps one of the most easily recognisable of those trees native to Scotland. 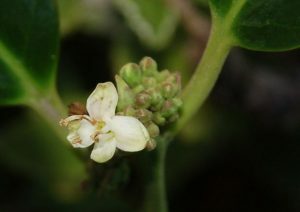 The leaves are distinctive; glossy, dark green with spines along the margins, however these can often be reduced or absent in more mature trees. Trees can grow up to 25m in height, but it is more often seen as a small tree or shrub. The flowers of holly are small and white, with male and female flowers on separate plants (dioecious), with bright red berries maturing in late Autumn on female trees. The wood is hard, white and very fine grained making it suited for engraving, printing blocks, turning and inlays for furniture. 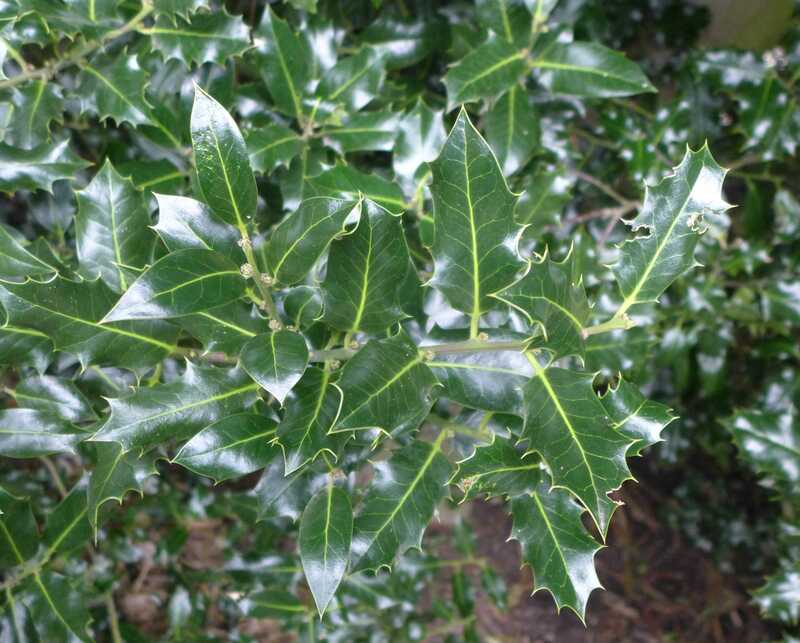 Holly is also often used for stock-proof hedging, as the prickly, evergreen leaves form an effective deterrent. The evergreen leaves also help create a good wind-break, which is how it is used here at RBGE. Holly now has a strong association with Christmas, with berry bearing branches being used to decorate homes. It also has a strong pagan association, being bought into homes as part of the celebration of the winter-solstice. It was thought to deter witches and evil spirits, and would be bought in to the home at Hogmanay to protect from faeries looking to cause mischief.